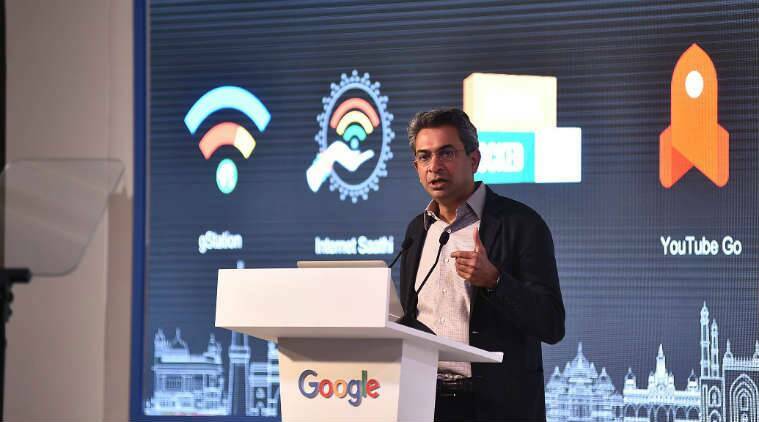 This is the “most exciting time in technology”, and especially so in context of India, Rajan Anandan, vice-president of Google (South East Asia & India), said on Saturday. He was the chief guest at the seventh convocation ceremony of the Indraprastha Institute of Information Technology (IIIT) Delhi. “It’s an incredibly exciting time in technology in India. You’re very fortunate to be at the right place at the right time… There are 7.6 billion people in the world, and four billion of them are connected through the internet. The three billion who are not connected — one billion of whom are in India — are the ones who need technology the most. The reality is that most of India is still not connected,” he told students at the convocation. “The most defining technology trend for the next 10-20 years will be artificial intelligence, but we have still not begun when it comes to it… Despite the incredible progress we’ve made, despite Apple being worth a trillion dollars, despite all the excitement in the technology sector, we are still on day zero of the global technology industry…,” he said. Adding that at the end of 2017, India’s GDP had surpassed that of France, he said: “By the end of this year, India’s GDP will surpass that of the UK. By 2030, India will become the third largest economy of the world. We’d pretty much be in a new world order… So within 12 years, if you’re still in India, you will be in the midst of an economic miracle…,” said Anandan. Also present at the event was Lieutenant Governor Anil Baijal, who urged students to “press the pause button”, before hitting the “fast-forward button” in their lives. “Education doesn’t take place in stuffy classrooms alone. Real knowledge comes from the classroom of life,” he said.